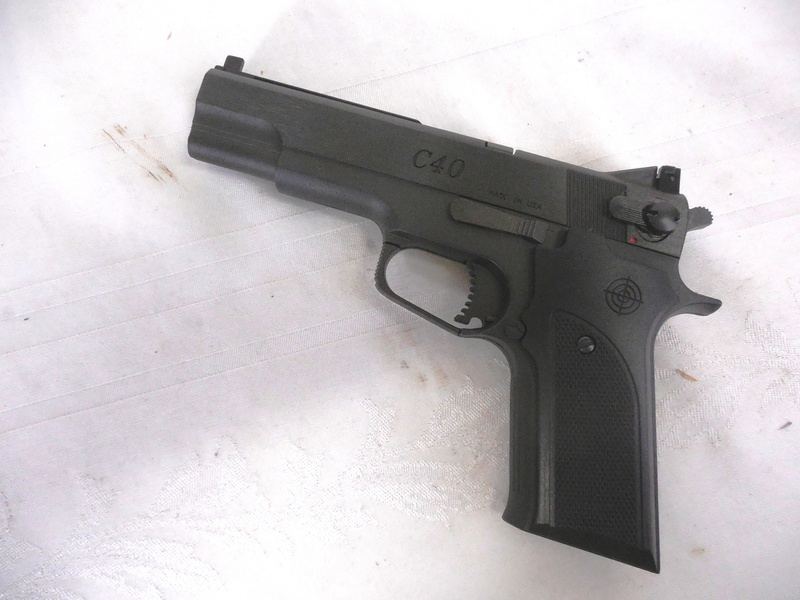 The Crosman C 40 is a semi-automatic, C02 powered, .177 caliber, air pistol with a rifled steel barrel and an eight shot magazine. 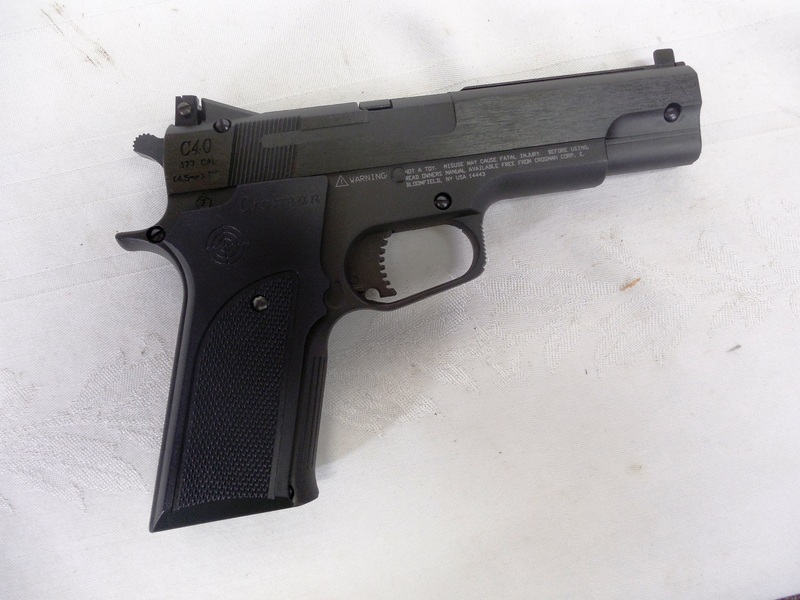 This pistol was tested in our shop, it held air and shot around 450 fps with lead pellets. 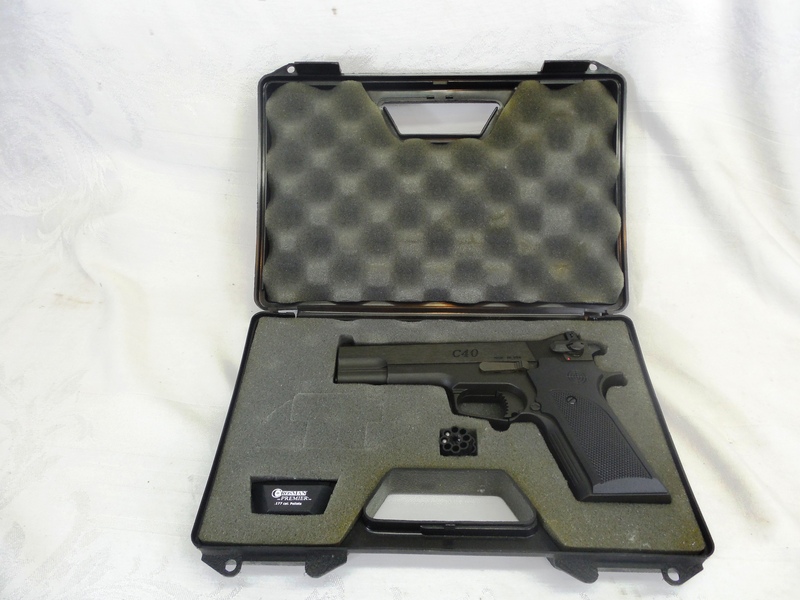 A hard case with an inserted custom fit to this pistol. Also included is an extra magazine and an original container of pellets.